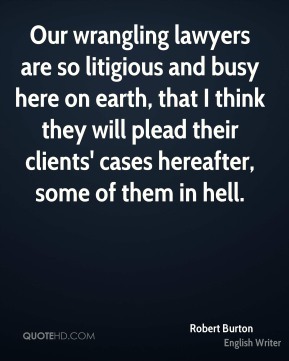 Our wrangling lawyers are so litigious and busy here on earth, that I think they will plead their clients' cases hereafter, some of them in hell. 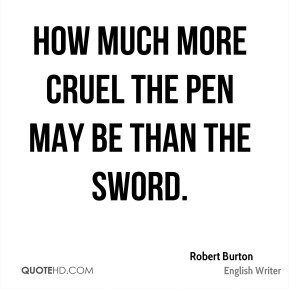 How much more cruel the pen may be than the sword. 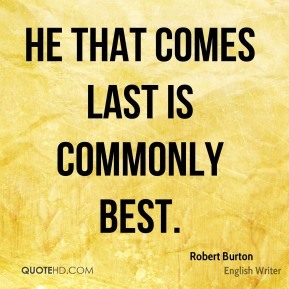 He that comes last is commonly best. 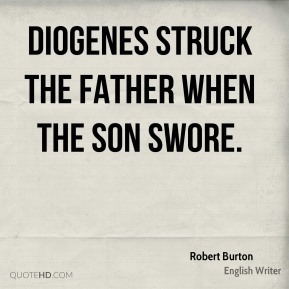 All my joys to this are folly, / Naught so sweet as melancholy. 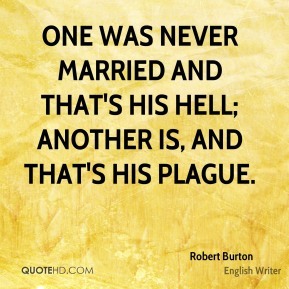 One was never married and that's his hell; another is, and that's his plague. 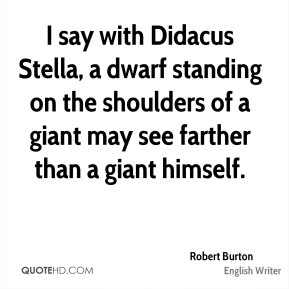 I say with Didacus Stella, a dwarf standing on the shoulders of a giant may see farther than a giant himself. 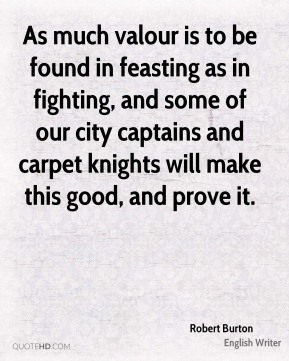 As much valour is to be found in feasting as in fighting, and some of our city captains and carpet knights will make this good, and prove it. 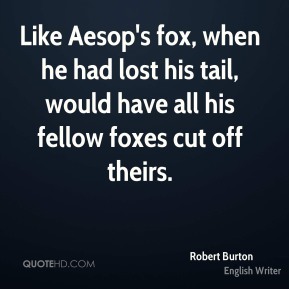 Like Aesop's fox, when he had lost his tail, would have all his fellow foxes cut off theirs. 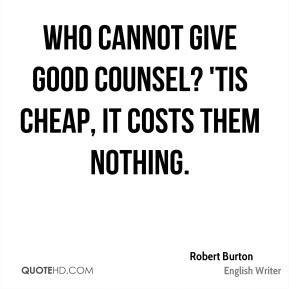 Who cannot give good counsel? 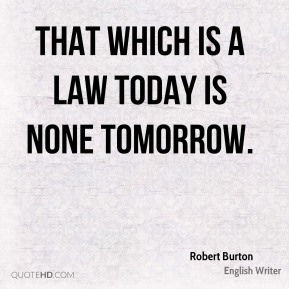 'Tis cheap, it costs them nothing. 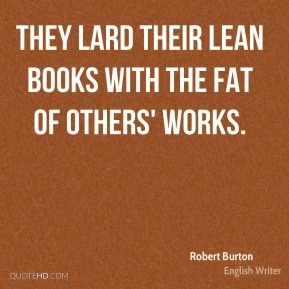 They lard their lean books with the fat of others' works. 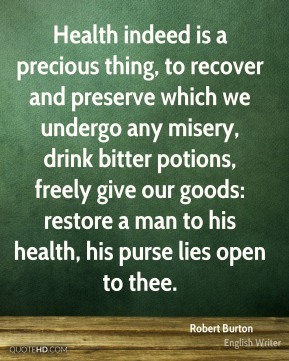 Health indeed is a precious thing, to recover and preserve which we undergo any misery, drink bitter potions, freely give our goods: restore a man to his health, his purse lies open to thee. 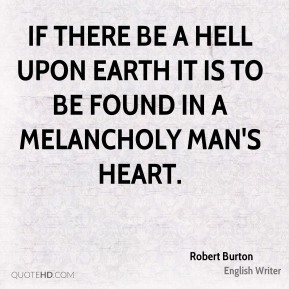 If there be a hell upon earth it is to be found in a melancholy man's heart. 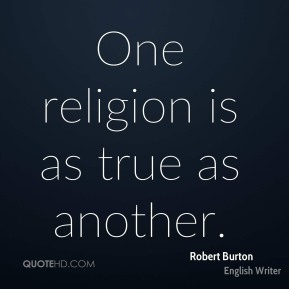 One religion is as true as another. 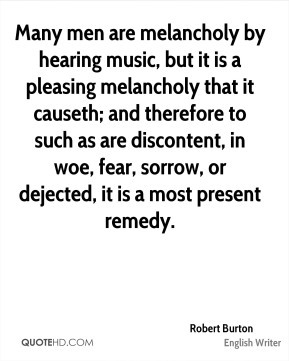 Many men are melancholy by hearing music, but it is a pleasing melancholy that it causeth; and therefore to such as are discontent, in woe, fear, sorrow, or dejected, it is a most present remedy. 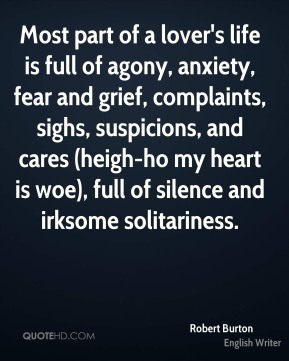 Most part of a lover's life is full of agony, anxiety, fear and grief, complaints, sighs, suspicions, and cares (heigh-ho my heart is woe), full of silence and irksome solitariness. 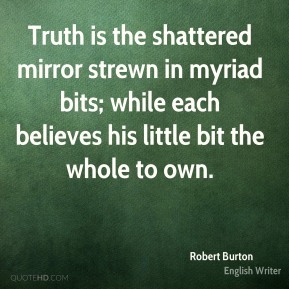 Truth is the shattered mirror strewn in myriad bits; while each believes his little bit the whole to own. 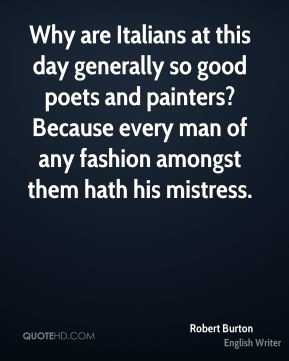 Why are Italians at this day generally so good poets and painters? 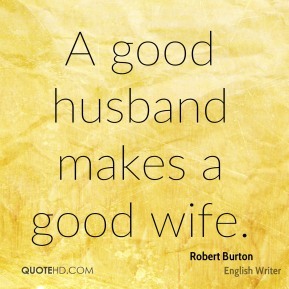 Because every man of any fashion amongst them hath his mistress. 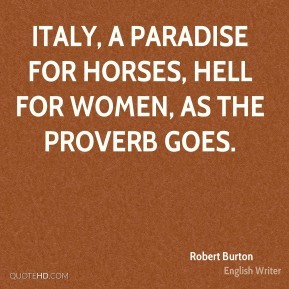 Italy, a paradise for horses, hell for women, as the proverb goes. 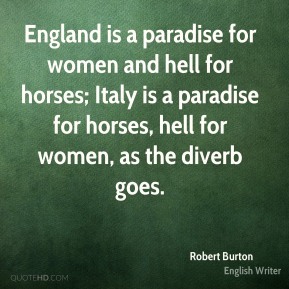 England is a paradise for women and hell for horses; Italy is a paradise for horses, hell for women, as the diverb goes. 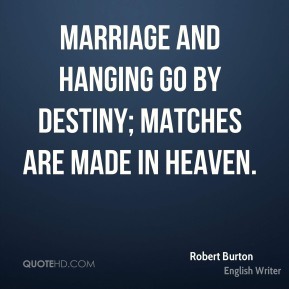 There is something in a woman beyond all human delight; a magnetic virtue, a charming quality, an occult and powerful motive.